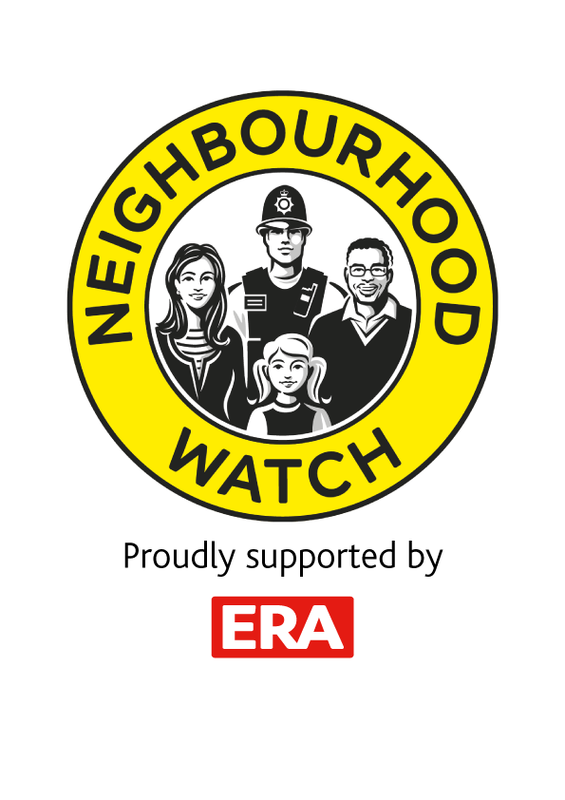 ERA are proud supporters of the Neighbourhood Watch, which is the largest voluntary movement in England and Wales with 173,000 co-ordinators and 3.8 million member households. Each week volunteers share information to help keep themselves, their homes and their communities safe from crime. Since it was first established in the UK from America in the 1980's the movement has expanded and now the distinctive, round yellow signs have become one of the best known brands within the crime prevention sector. Neighbours join together to keep a watchful eye on the homes within their watch area and be a good neighbour to their vulnerable and elderly neighbours. Increasingly, with the emergence of cybercrime and fraud, members are becoming the frontline in raising awareness about practical steps to protect themselves and others from a variety of crimes. The Neighbourhood and Home Watch Network (NHHWN) was established to be a strategic voice for the movement. It is a national charity based in Leicester covering England and Wales and is supported by the Home Office, the National Police Chiefs Council (NPCC) and the Association of Police and Crime Commissioners and the College of Policing. The charity’s staff work in partnership with volunteers, the police, local authorities and other relevant organisations to offer advice, guidance, support and resources. Since we made the first locks all those years ago ERA have been striving to improve and enhance the security of homes across the UK. We think it’s important that everyone is able to protect the things they love within their home so are really delighted to be working alongside the Neighbourhood Watch and supporting their aim to increase awareness of crime prevention in communities. ERA has a complete range of window and door components from locks, gearing, handles and hinges to wireless alarms, IP camera technology and video intercoms. Product innovation starts with our design and technical teams. We engineer quality and performance into every piece of door and window hardware to create products with durability, ease of installation and functionality in mind to enhance the overall performance of a home. Our product range ensures communities have the very best crime prevention and security advice; and together we can secure homes across England and Wales.